Special Olympics kicked off our 50th Anniversary Celebration in Chicago! 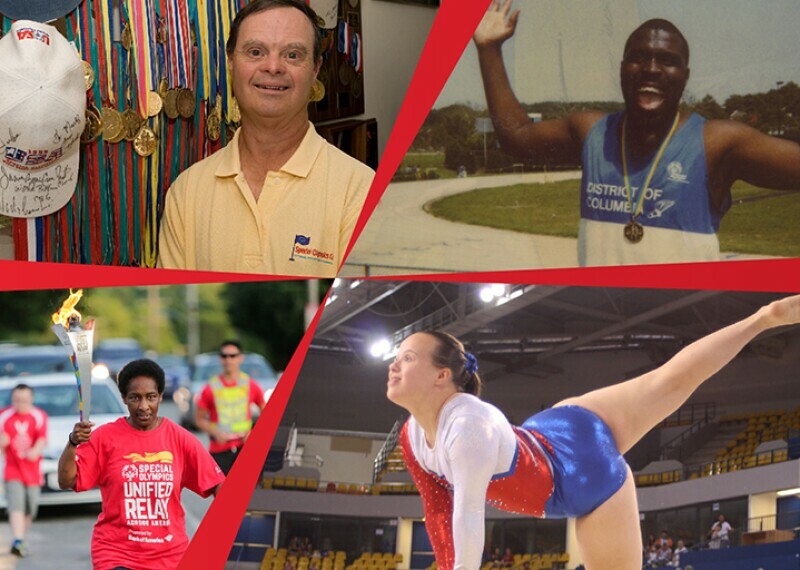 We launched into the next 50 years of the Inclusion Revolution with a week of high-level sports competition at the Unified Cup, family-friendly fun at the Torch Run and Global Day of Inclusion festival, and a star-studded concert at Northerly Island. 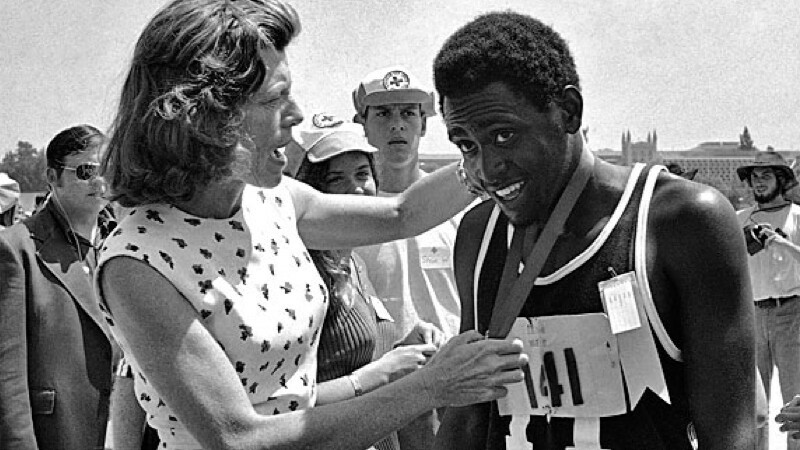 Events included the first-ever Special Olympics Unified Cup; a star-studded Global Day of Inclusion; a Law Enforcement Torch Run Commemorative Run; a ceremonial lighting of the Special Olympics Eternal Flame of Hope, which symbolized our burning passion for inclusion and justice for people with intellectual disabilities. Performance Stations - Performance Stations ensured athletes perform to their best throughout the tournament. Prior to competition, athletes had the opportunity to receive support in competition readiness (equipment and attire), nutrition, hydration, and physical activity. Throughout competition, athletic trainers monitored the field of play, and athletes were supported with proper nutrition and hydration to optimize their performance. 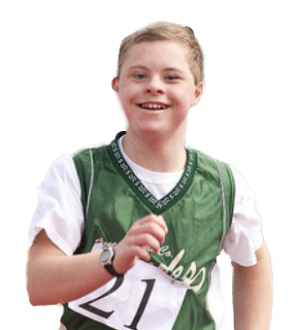 Healthy Athletes - Special Olympics Healthy Athletes® provided free health screening in a fun, welcoming environment that removed the anxiety people with intellectual disabilities often experience when faced with a visit to a medical professional. Law Enforcement Torch Run Commemorative Run - A ceremonial Law Enforcement Torch Run featured hundreds of law enforcement officers and Special Olympics athletes from throughout Chicago, Illinois, and the world. This 4-mile run took place on the lakefront bike path and concluded with the lighting of the Eternal Flame of Hope. Eternal Flame of Hope - A new permanent, 30-foot monument for Special Olympics at Soldier Field, the site of the first games 50 years ago, was lit at a dedication ceremony. The monument featured a landscaped plaza and donor recognition wall, as well as spectacular sculpture and eternal flame, symbolizing the eternal hope that Special Olympics provides to athletes and their families, and in turn, the eternal hope that Special Olympics athletes provide to the world. World-renowned artist, Richard Hunt, designed the sculpture. Global Day of Inclusion - To mark the amazing milestone of the 50th Anniversary and to kick off the next 50 years, Special Olympics harnessed the reach and power of our five million athletes in 170 countries, along with their families, friends & supporters, to send a clear and compelling message to the world: “Join us for a Global Day of Inclusion.” The birthplace of Special Olympics, Chicago’s Soldier Field, hosted a massive celebration, this Inclusion Revolution served as the spark for people around the world to commit to making their cities more inclusive. This family friendly festival offered sports activities, interactive games, exhibits, killer food offerings, and live entertainment. Concert - Chance the Rapper, Usher, Francis & The Lights, Daya, Smokey Robinson, Jason Mraz, and O.A.R. preformed at the 50th Anniversary Celebration Concert! Dedicated to empowerment and inclusion, the concert inspired an #InclusionRevolution. Light Up For Inclusion - On 20 July 2018, over 225 landmarks across the world participated in Light Up Red for Inclusion! 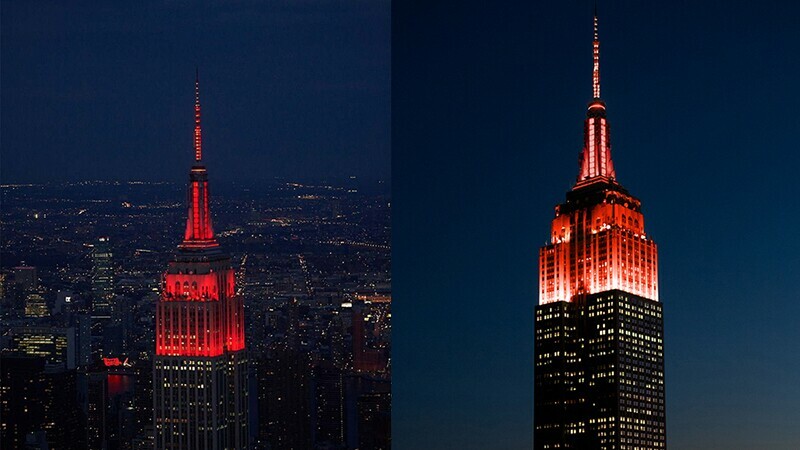 From the Empire State Building to the Sydney Opera House, landmarks around the globe were red in honor of Special Olympics 50th celebration. Empire State Building, in New York City, New York, lights up red for inclusion on July 20, 2018. Top football athletes from around the world—with and without intellectual disabilities—competed in the inaugural event during the 50th anniversary celebration in Chicago, Illinois, USA. 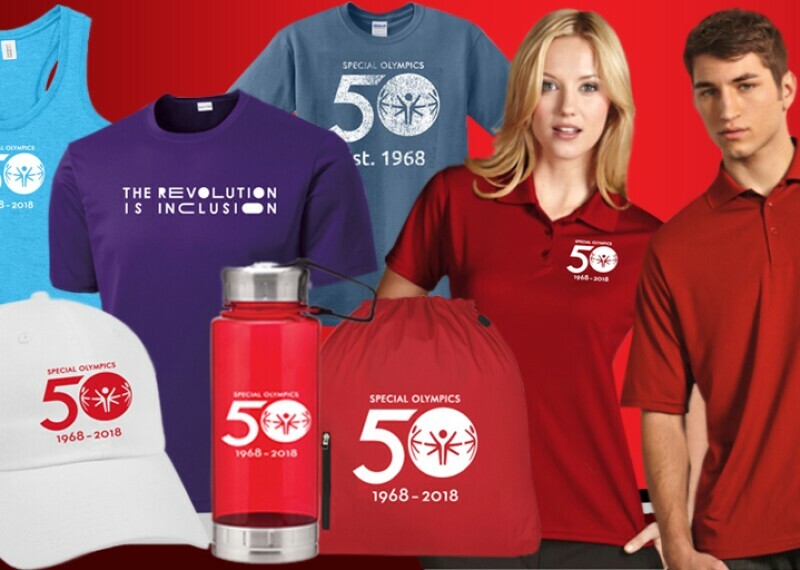 Celebrate the 50th Anniversary by purchasing official brand merchandise ranging from t-shirts to popsockets. Special Olympics is proud to partner with prinkshop to celebrate our 50th anniversary with a bold collection of wearables made in a factory that provides meaningful employment for adults with autism.